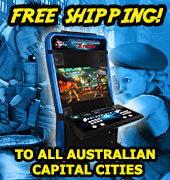 We have a range of brochures and flyers for arcade and amusement machines for sale in Australia. 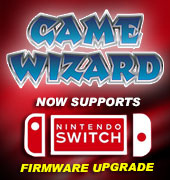 They are useful for customers who collect amusement paraphernalia, or, customers wanting to revamp and bring vibrancy to their location or gaming area. These brochures and flyers include machine product information hand-outs in large or small sizes, one- or double-sided, one product or multiple products, for SD or DX, etc. Brochures or flyers also include arcade motherboards or hardware, or for pinball. Check out our range of stock below, and if you'd like to take a closer look at a product or want more information on it, simply click on 'Details' for further information. This Fire Hawk Poster set contains nine double sides, a4 sized posters. These Fire Hawks posters are brand new and feature character descriptions and screenshots of the game. Fire Hawk is a classic style, vertical scrolling shooter released by ESD in 2001. Players choose between 5 different character vehicles: Harrier, Night Hawk, Eagle, Phantom, and title character Fire Hawk. The fun, fast-paced action of this game wins players over where ever it goes.